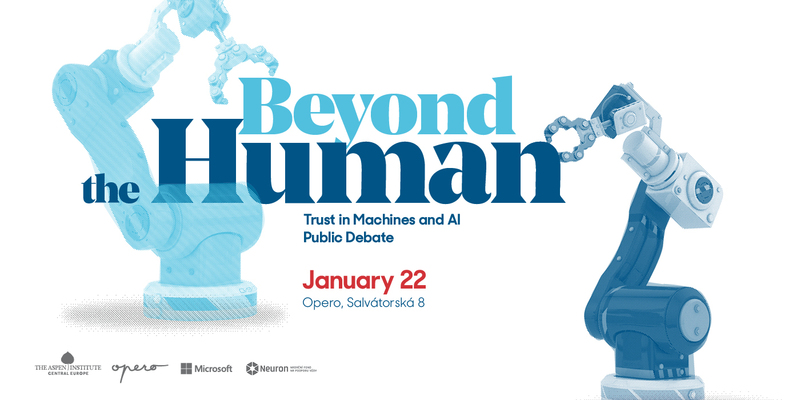 Aspen Institute Central Europe and Opero cordially invite you to a public debate on the opportunities and challenges provided by AI. The debate will be held on January 22, 18:30, at Opero. There are several current challenges related to AI research. Can we govern the AI research to maximize its benefits to the society? How can we guarantee that democracy and democratic values are promoted and strengthened? How can we ensure that artificial intelligence is used to drive societal good? The event is supported by Microsoft and The Neuron Fund. The debate will be in English language.